While I was trying to decide what to do, I emailed Natalia and asked her if the photo was available for book covers. She emailed back saying that photo only had two year rights available (not acceptable) BUT she could make me one that would not only cost less and give me eternal rights, but could be custom fit to my book. There was a small catch. She had a wait list of two months. Since I still hadn’t decided, I told her to add me to the list. In mid October, Natalia emailed that she was ready. I told her the look I was going for on the cover, a bit about the story and let her loose. I admit, I was a bit nervous. I’d had much more input on my previous covers. But her art work is stunningly gorgeous. Somehow, I just knew that she was going to create something incredible. Several days ago, she sent me a preliminary proof of the front cover. And I about died with happiness. It was gorgeous and fit the book on so many levels, but she told me she wasn’t done yet and had more tweaking to do. Today she sent me finished product. I bet you want to see it, huh? And now I’m back on track. With my eBooks anyway. They should be available on Wednesday, November 9. (Many, many, MANY thanks to LK Campbell who has been so very patient rearranging her schedule to accommodate my delay) Print books are still two weeks away. Sigh. DUDE IT IS SOOOOOOO AMAZING. HAPPY HAPPY. SOOOOO awesome!!!! I would pick this book up in a heartbeat on cover alone. 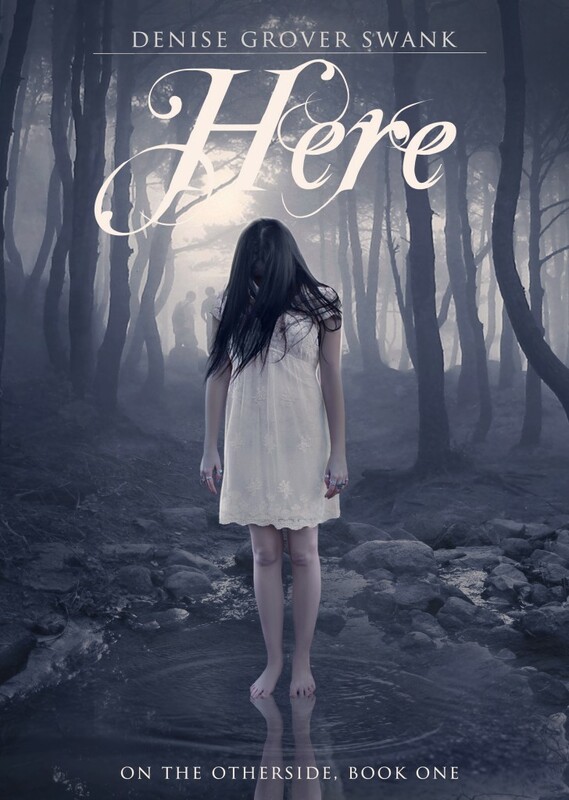 omg this is such a gorgeous cover for HERE. brilliant. so fitting. I LOVE IT. Thank you, everyone!!!! Have I mentioned how much I LOVE IT???? It is really gorgeous, Denise. Your artist is top notch! It’s really nice—your artist rocks! Ooh pretty! I remember reading your pitch for this book and thought it sounded great. I’m also querying an alternate universe book and have some interest going, but have also gotten a bit of the “my client is also writing something like this.” But I’m crossing my fingers someone loves it. I can’t wait to read HERE! It is beautiful and love it. So excited for you. Haunting (and yes it’s beautiful).